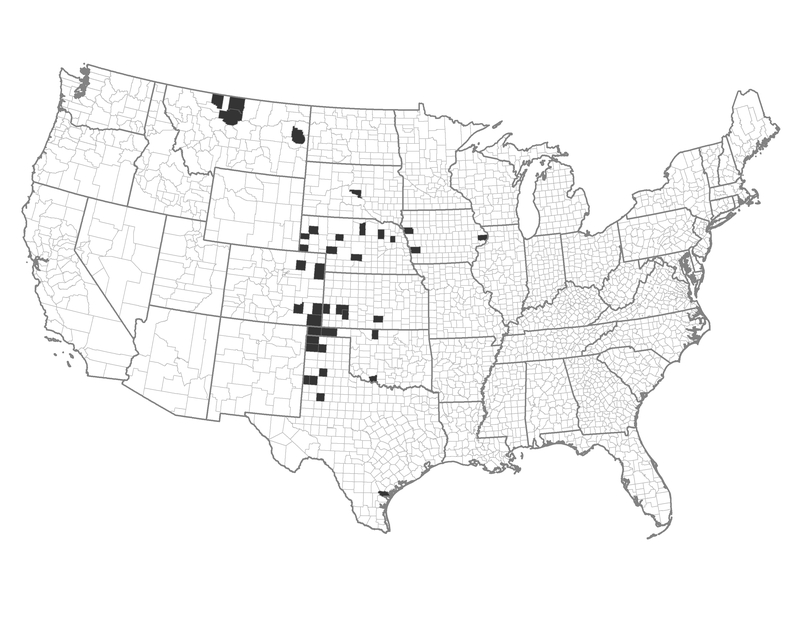 These are rangeland systems in the Central Plains with a large amount of area burned. There is little federal ownership with a limited amount of area in the Wildland Urban Interface. Example of a Typical County — Cimarron County, Oklahoma: This westernmost county of Oklahoma includes the Rita Blanca National Grassland. It experienced notable wind-driven wildfire in 2006. The application of fuel treatments in grasslands could work on a seasonal basis. Local discretion should be used to determine the importance and type of fuel treatment. Individual homeowners can be proactive on home defensive actions. Communities can plan and take coordinated action, in combination with individual actions by property owners. Reduce accidental human-caused ignitions through the enforcement of burning bans and education.